Argie 10 stitch and glue plywood sailing dinghy. 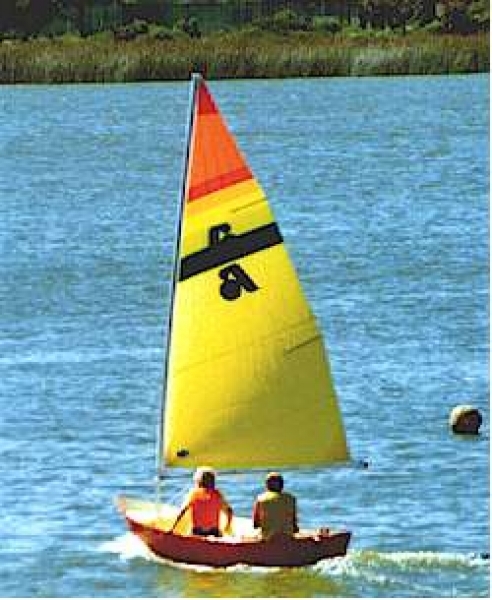 This is a good training boat for children because it can carry an adult and child with ease for sailing or more for rowing. Easily handled free-standing una rig. It can be sailed, rowed or motored with a small outboard of up to 5hp. Can be car-topped. Hull weight 65lb.